Edge Effects: Frontiers in Retreat was a Green Tease held in Glasgow on 27th July led by the Scottish Sculpture Workshop. Edge Effects: Frontiers in Retreat was a Green Tease held in Glasgow on 27th July led by the Scottish Sculpture Workshop. The event was part of their Frontiers in Retreat: Edge Effects programme of walks, workshops, film and performance which explored the complex co-dependencies between ecological, social, economic and political phenomena. Frontiers in Retreat is a 5 year collaborative project, enquiring the intersections of art and ecology. Within the project there were 7 core sites across Europe these are Mustarinda (Finland), Scottish Sculpture Workshop – SSW (Scotland), Cultural Front GRAD (Serbia), Centre d’Art i Natura CAN (Catalonia), HIAP – Helsinki International Artist Programme (Finland), Skaftfell – Center for Visual Art (Iceland), Interdisciplinary Art Group SERDE (Latvia). These locations are where artists were invited to work and share knowledge, often collaborating with local inhabitants and communities. The aim of the local residencies was to provide a complex understanding of the entanglements between local ecological concerns and the larger, systematic, global processes. The Green Tease started with a talk from Taru Elfving who developed the concept of the project. Taru provided an in depth explanation of the project and posed the questions ‘are humans embedded in the ecosystems or are they added on?’ and ‘what does it mean to be centred?’. Taru took the audience through the experiences which shaped the project, for instance how climate change is changing the experiences of the living. This was then linked back to the engagement between art and the environment, leading to frontiers in retreat and giving a platform for artistic research which gave an insight into change in other environments. Artist Carl Giffney gave an overview of his documentary as part of Frontiers in Retreat. The feature length documentary was filmed in the Netherlands, Scotland and Finland. The film I really don’t feel them shows the making of a unique pair of Dutch bronze clogs that are forged in Scotland as the Independence referendum was taking place. The shoes were brought on a trip the length of Finland and travelled North to the Saami people, the only indigenous people in Europe, living in Northern Finland, Sweden, Norway and Russia. Carl then finished by linking the project to social cohesion and his personal experiences of making yourself vulnerable in order to learn. The day was ended with a deep listening exercise and understanding with sonic artist and researcher Ximena Alarcon. Ximena first gave an insight into her project, Fertile Soil, which she described as migrant women listening to their migrations and using technology to communicate with sounds, words and silences. This project gave an artistic platform to allow improvised conversations between migrant women to take place. The practice of deep listening helps people to recognise the territories we inhibit and how these connect with our inner self, transcending identities and the sense of belonging to a specific ‘place’. Ximena then moved on to hold a short interactive deep listening exercise with the Green Tease participants and took them through the various steps of the exercise to allow them to connect with themselves and others. 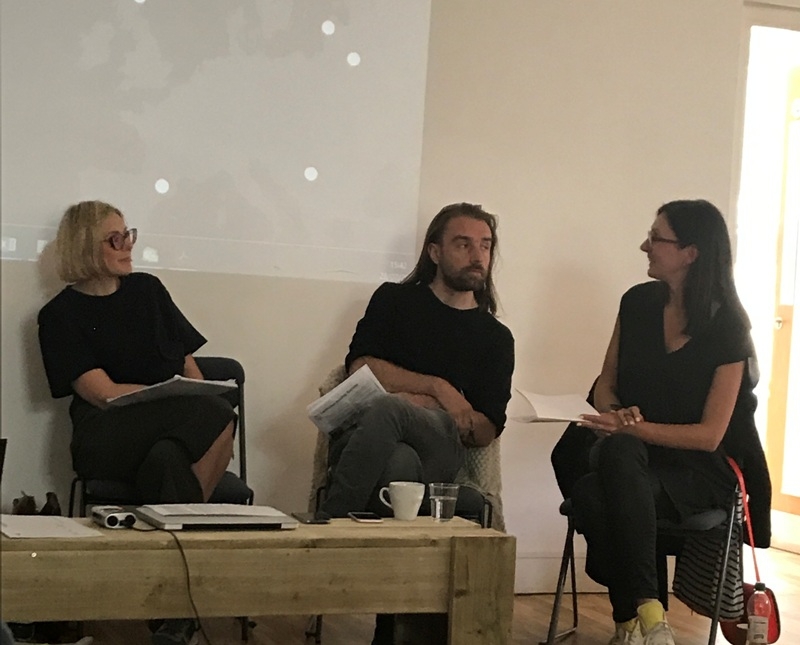 The event ended with a discussion in regards to culture / SHIFT questions, the research framework developed by Creative Carbon Scotland in order to understand the ways in which artists work. Thanks to Yvonne Billimore of Scottish Sculpture Workshop and Green Arts Initiative member the CCA: Centre for Contemporary Arts for hosting the event.